If you want to keep your investments safe and organized, a retirement account rollover is critical to that success. After leaving your employer, rolling over your 401k sounds like a simple enough practice, right? Maybe in theory, but the steps to a 401k rollover are riddled with a complicated process and rules set for us by the IRS. This has led to a lot of confusion that has unfortunately deterred a lot of people from taking this very important step in their financial planning. That’s why we’ve written this guide. We want to walk you through your different 401k rollover options, help you understand why you should consider a rollover, and show you how to do it without ticking off the tax authority. What is a 401k Rollover? Many employers offer company-sponsored retirement plans, and when you leave these employers, you have a few options for what to do next with the account. For a lot of people, leaving the account with their previous employer just isn’t an option. This is especially true for people who change jobs more than once. If you leave your 401k plan scattered along with your different employers, it puts you at considerable risk. You can easily miss your retirement goals all because of disorganization. A 401k rollover just refers to the process of moving your retirement accounts into an individual account, like an IRA, or one of the other options available. For the most part, 401k plans go by three main rules. If you have less than $1,000 in your 401k, an employer may cash it out and give it to you, though it will be subject to taxes. If you have somewhere between one and five thousand in your 401k, your employer may put it in an IRA automatically. However, if you have more than $5,000, you must decide whether or not you want to leave it in the 401k or do a rollover. There are other rules that will be specific to your 401k plan. Some 401k plans set limits on the kinds of withdrawals you can do at once, so it’s important to ask your administrator for the specific rules. If you’re changing careers, ask both the new and the old company before you decide what to do. What are my 401k Rollover Choices? For the purposes of this article, we’re going to focus mainly on how to rollover your 401k into an IRA. However, we’ll cover the other options briefly here. If you choose to keep your 401k with your previous employer, all you really have to do is check with the plan administrator and ensure that you’re able to do that. You won’t incur taxes or penalties and you won’t have to do anything. That sounds like a pretty sweet deal, right? But there are a LOT of drawbacks to doing this. You can’t make any additional contributions to an account from a former employer. So even if you wanted to keep adding to your retirement account, you couldn’t. And if your employer makes any changes to the plan while you aren’t employed there, they could affect your returns as well. Additionally, if you’ve gathered 401k accounts from more than one employer, it could get quite tricky trying to manage all of these at the same time. If your new employer allows you to transfer your 401k to theirs, all you’ll have to to make sure you’re allowed to do that. However, with this option, you’re limited by the new plan and that it might not match your risk/return needs and it may not even be a good deal. The first step, pull the regulatory disclosure forms 404(a)(5) and ERISA Form 5500. Ask your employer for this. If you have trouble obtaining these forms reach out to us here at FamilyVest and we can do this analysis for you free of charge. The form 404(a)(5) and 5500 disclosures may be challenging to find and with good reason as the fees you are paying are too high, and the provider would like to keep that hidden behind a regulatory maze. Next, read the disclosures to find out how good a deal you are getting. It varies widely from firm to firm, as many firms have great plans while others leave much to be desired. If you have to, you can take the money out of the 401k and just get the cash instead. All you’ll have to do is fill out a form from your former employer. The benefits of this option are that you have immediate access to cash and you can still rollover a portion of the funds without penalty if it’s done within 60 days of the distribution. However, you will get hit with a whopping 20% income tax withholding and other federal and state taxes. And that’s in addition to the 10% early withdrawal penalty. Now, let’s talk a little about IRAs. With the 401k, your company’s administrator will run the plan and choose which mutual funds and other investments are available to you. They also set the rules for any withdrawals. 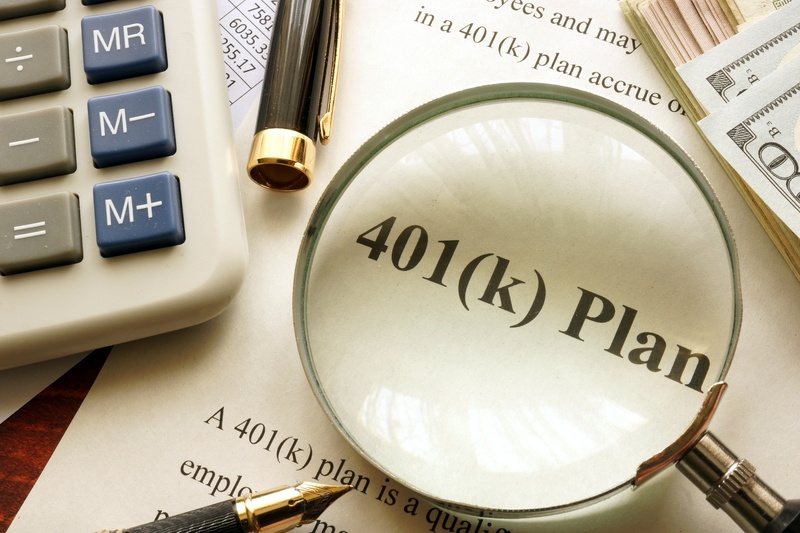 One of the significant advantages of a 401k is the fact that your company will usually match your investment and the deductions are made from your paycheck. But those advantages go away if you’re not employed with that company anymore. With an IRA, you’re the one in charge. You can hold your IRA with a bank, a brokerage, or an advisor where you may have greater control over costs and investment choices. There are a few things that you need to consider when you’re figuring out whether or not you should do a rollover. You need to consider the fees, the range, and quality of investments in your 401k, and the rules of the 401k plans at your previous or current employer. It’s essential that you make a careful, deliberate decision here. If you leave your money in your old 401k, it could wind up costing you tens of thousands of dollars, or even more. But if you are lucky enough to have a very high-quality 401k plan, it might be smarter to keep your money where it is. Again, check your options. If you select an IRA account for a big brokerage, you likely won’t have any annual fees. But with a 401k, you will be charged a percentage of assets, with some fees as high as 2% a year. Find out more about how much your 401k charges. Ask your plan administrator as soon as you can to find out how much you will be charged. The mutual funds in your 401k or your IRA will have their own price tags as well. Ask your 401k plan admin to show you all of the fees and compare them to what you would pay for the funds you purchase with your IRA. Large companies tend to get better deals on some fund charges, but that’s dependent on your provider. If you want active counseling on your investments, your options will be different. Some 401k plans will include advisory services, and many brokerages have people that you can call. However, if you want fiduciary financial advice, you will often need to hire an independent financial planner. Brokers and advisors usually charge an overall fee, which could cost you as much as 2% of your assets. The industry standard is 1%, so be wary of others charging much more and make sure you are getting benefits that match. 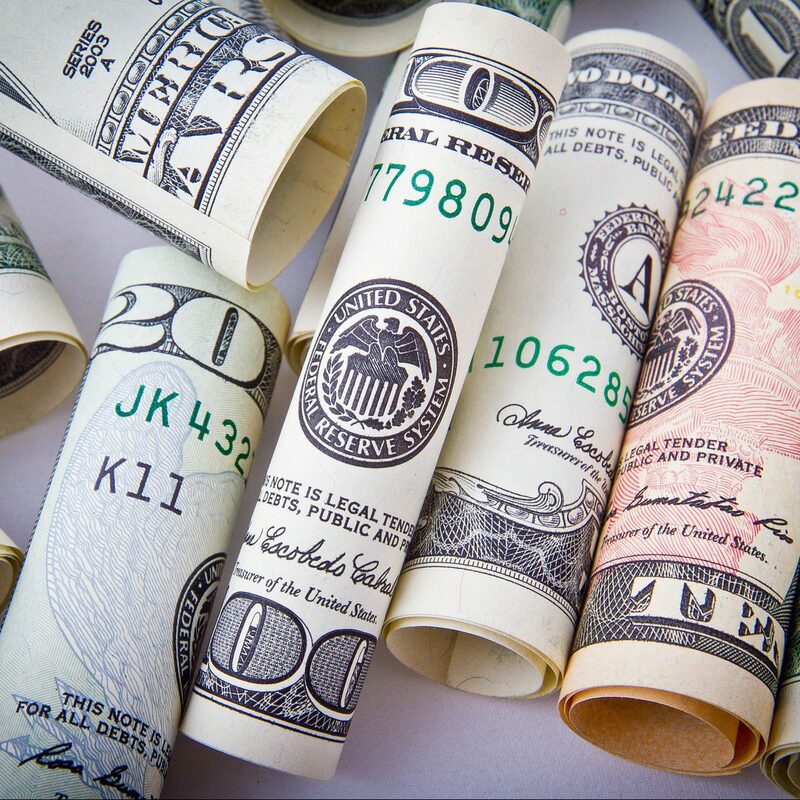 Unless you work for a company that has offered you a high-quality 401k plan, you will likely find that you have a wider range of investment options with an IRA. The manager of the 401k plan sets the options to meet regulatory guidelines, and you may often find options lacking. Your typical brokerage firm or investment advisor may be able to offer a greater selection of investments. If you choose the IRA route, you can continue to make contributions to your IRA, and with that, you can get a tax deduction up to $5,500 in years when you are self-employed. This number goes up to $6,500 if you’re over 50. If you’re over the age of 59.5, it tends to be a lot easier and quicker to withdraw money from an IRA than a 401k as well. There are a few advantages to a 401k as well. Some plans will allow you to borrow against the money in your plan in an emergency. This could be beneficial when opposed to taking a taxable deduction. Some plans also have high protection against creditors in the instance of a bankruptcy. If you’re young, it’s important to think about setting up your rollover strategy now. Americans today change jobs over 11 times in their careers, and if you’re smart, you started your 401k at every new position. On the flip side, this means that by retirement, you could have over 11 401k accounts to manage. If you change jobs, consider consolidating your savings by sticking them in a single IRA and make it easier on yourself to manage in the future. What Are the Best Places to Roll Over? For the purposes of this article, we’re going to assume you’ve made the decision to roll your 401k plan into an IRA that you can control. The actual act of rollover is pretty easy! Your plan administrator will give you paperwork for you to fill out, and when you open your IRA, they will be the one to handle the transfer. But let’s look more closely at the big decisions you have to make and what points you should consider. The first choice you need to make is where you’re going to put your IRA. Do you want to leave it with a bank, a brokerage, or an online advisor? One thing you need to keep in mind is the different fees associated with each institution. These investments could cost you up to 2% of your money and could eat away at your saving. You typically don’t even see these fees; they just get deducted from your account. For the most part, fees are lower with online administrators because they don’t have as much overhead. The funds you invest in also carry fees as well. There are, however, plenty of low-cost options with different fund providers, and every year the costs get lower. Large mutual funds and exchange-traded funds now have costs of .15% or lower. The next thing you need to do is find somewhere with investment options that work for you. Most brokerages offer a lot of different options, some up to 9,000 different mutual funds and every stock and option that trades on major exchanges. But the real question is how you narrow down the options and find the one for you. For some, target-date funds are the right option. You choose a fund based on what year you want to retire and let the fund do the rest of the work. This fund will choose investments for you and rebalance when you get closer to retirement. Lifecycle funds have professional fund managers that will decide when to rebalance. But there is a new class of advisors that are automated and rely on computer algorithms to keep your portfolio managed. These tend to be more affordable than traditional fund managers. Do not go through with a 401k rollover just because someone told you to. You need to look at the fees between accounts and your different options. Do think about upping your contributions each year and every time you get a raise. This is the best way to meet your goals. Don’t miss your chance during your rollover to look at your diversification and investment goals. You could find that you built up a significant stake in company stock, and that could outweigh your portfolio dangerously to the risks of one company. Make sure your holdings are diverse. Do include your 401k accounts into your estate to save your loved ones the pain of the legal matters that surround financial accounts. Do not take longer than 60 days after you receive funds to transfer them to another retirement account. You will be hit huge during tax time and incur a 10% penalty. You should consider a rollover if it makes it simpler for you to manage money. It could help save you money and give you access to better investment options for your unique case. There are more things to consider when you think about an IRA, like where exactly you want to do your 401k rollover. For more information and help with financial planning, you can visit our blog or contact us today.